Israeli forces have continued conducting raids in the occupied West Bank city of Ramallah, triggering clashes with local Palestinians. On Thursday evening, the fifth consecutive day of raids, dozens of soldiers and at least eight military vehicles raided Ramallah’s Al-Masyoon district, according to an Anadolu Agency correspondent based in the area. The raids have already sparked several clashes in Al-Masyoon, with Israeli troops using teargas and rubber bullets to disperse stone-throwing Palestinian youths. According to the Palestinian Red Crescent, at least four Palestinians were taken to the Ramallah Medical Center after suffering the effects of excessive teargas. 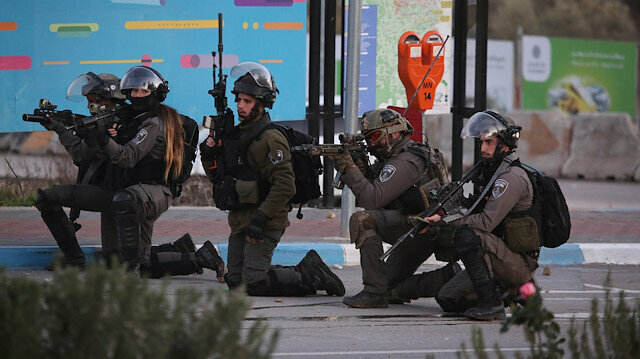 For the last five days, Israeli forces have continued to carry out raids in the city -- the Palestinian Authority’s administrative capital -- on the pretext of searching for “wanted” Palestinians.